Established in an old railroad station, The Dunedin History Museum has become a focal point of Dunedin. Through its scheduled events, community interaction, and exciting future projects, The Dunedin History Museum fosters the community's rich history. A non-profit organization focused on community and historical preservation, the Dunedin History Museum has become a major part of Dunedin. Known for its exhibits, holiday events, Orange Festivals, “History Comes Alive” experiences, cocktail parties, and much more, the museum breaks the mold on what is thought of as a traditional museum. Fusing history, education, and community interaction, the Dunedin History Museum welcomes all. The museum was not always a museum, for it once was a railroad station. 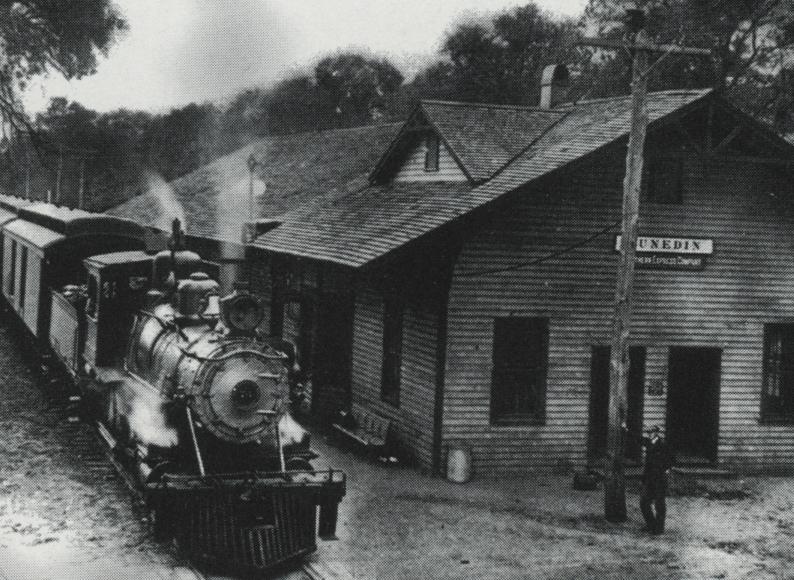 In 1888, the Orange Belt Railroad made its way through Dunedin. Plagued by narrow and haphazardly placed tracks, trains using this route were dangerous, uncomfortable, and were often late to appointments. 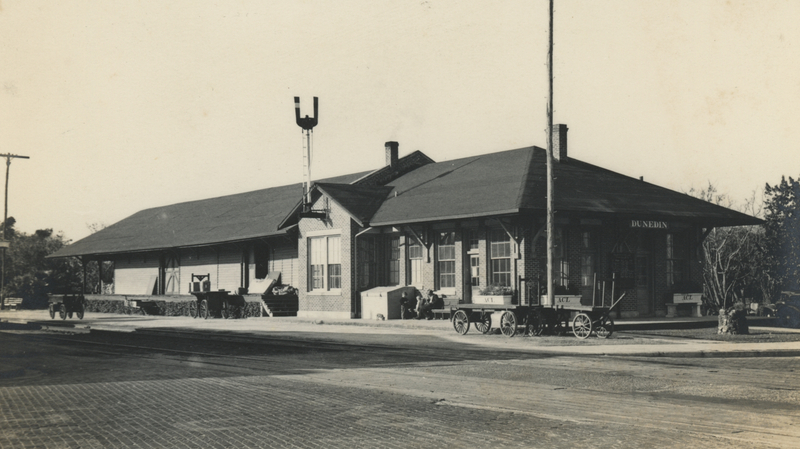 In 1902, the railroad was taken over by the Atlantic Coast Line Railroad, building a Dunedin railroad station (the current museum’s building) in 1924. 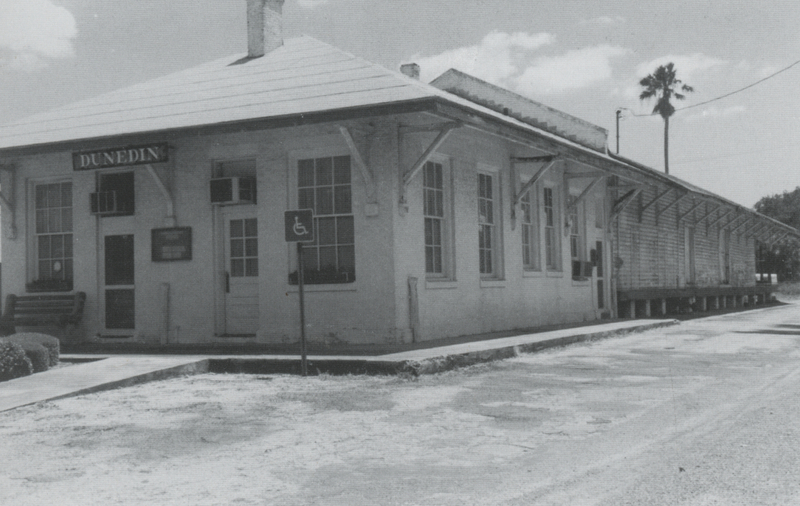 The ACL’s acquisition of the railroad helped bring prosperity to Dunedin, boosting both the local citrus industry and tourism. The railroad officially ended in 1987, allowing one last train to travel from Dunedin to Tarpon Springs and back. Once the railroad was retired, the tracks were pulled up, leaving an available space for new projects. The public and the state agreed to turn the vacant rail-trails into a new recreational trail, the Pinellas Trail. This trail (going from St. Petersburg to Tarpon Springs) can be used by joggers, cyclists, and helps locals travel without the need of a car or bus. 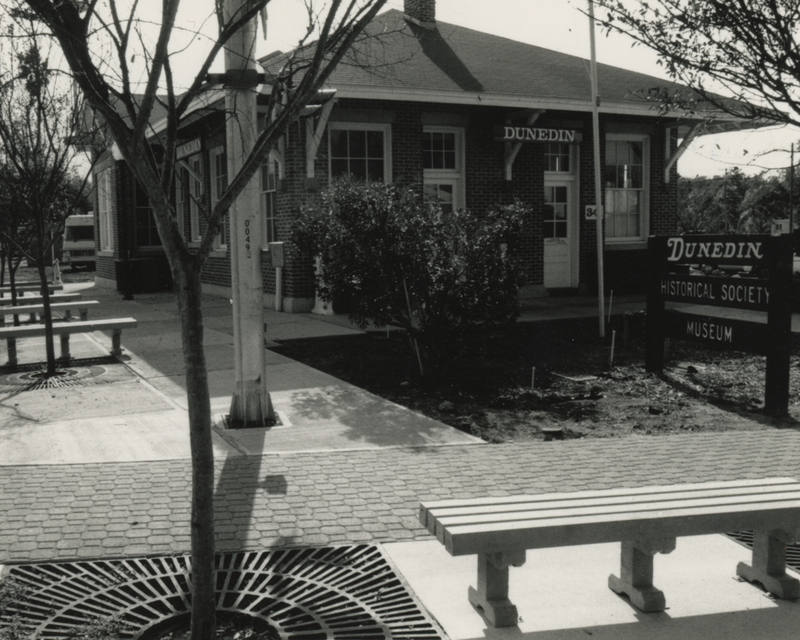 Before the former railroad station would become the Dunedin History Museum we know today, the Dunedin Historical Society had to be formed. Though talked about in 1969, the Dunedin Historical Society was officially created in 1970. The creation of the Society was seemingly created in response to the news that the historic Andrews Memorial Chapel would be torn down, prompting an attempt to save the chapel. Successfully saving, moving, and renovating the chapel, the Society began to preserve the history of Dunedin. Whether it was giving “History Maker Awards” to community members or creating “Self-guided Walking Tours”, the Society became a prominent part of the community and Dunedin’s identity. 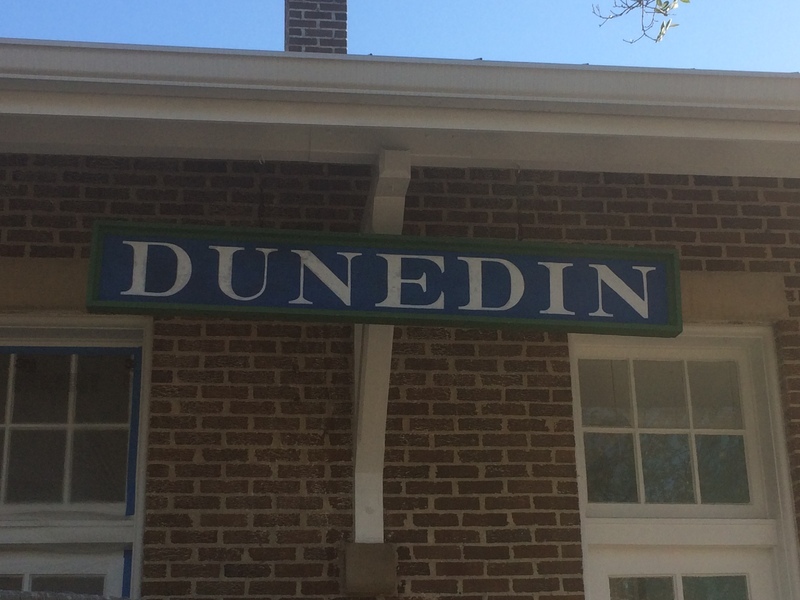 Starting first with a lease in 1973, an additional permission in 1977, and ending with the last train ride in 1987, the Dunedin Historical Society made the former Atlantic Coast Line station its new home. Looking more at the history within the museum rather than the museum itself, the archives are a mixture between electronic and traditional pieces. Electronically, the museum has an archive of the Dunedin Times newspaper from 1924-1965. Available online for the public, this Dunedin Times archive is easily searchable, allowing specific word and date searches. As for the traditional archive, the museum has thousands of photos, newspapers, and artifacts. These pieces range from sports history to World War II alligator tank production to pioneering families. In more modern times, the Dunedin History Museum is currently under renovations as of November 2017 and should reopen in March 2018. These renovations (building additions, new galleries, interactive exhibits, more research, etc.) were brought about by multiple grants and personal financing ($400,000 from the state of Florida, $200,000 from the city of Dunedin, and $100,000 from the museum itself). This amount of money and improvement/innovation has its purpose, not only to provide the best community-based historical experiences, but also to help with the museum’s campaign to be accredited by the American Alliance of Museums (AAM) in 2020. A non-profit association that represents the highest excellence and standards of a museum, being accredited by the AAM gives a legitimacy that can lead to future funding, shared exhibits with other museums, and much more. This accreditation campaign will be kicked off on the Dunedin Historical Society’s 50th anniversary (2020) with an opening of a time capsule made by the original Society members in 1970. Known for their various experiences and close history with the community, the Dunedin History Museum has become a staple of Dunedin. Starting as a community trying the save a local chapel, the museum looks to put its community first. Whether you would like to participate in community events or attend a scheduled appointment to research in the archive, the Dunedin History Museum is a place for everyone. Curtis Croson, “Dunedin History Museum,” Tampa Historical, accessed April 20, 2019, http://tampahistorical.org/items/show/31.